The New Economy – The Perfect Economy – Page 3 – Fundamentals of The New Eonomy. The corners of our mind. Travel will be but in a twightling of an eye. Your rightful place in the universe. I will be forced to remain in Singapore. Cause I know all the Truth. But it will always be in a cube. Demand can be determined before Supply, where the use of Price will determine your global market share, everything can be traded in the “New Economy” with exchanges that facilitate trading in goods and services, and the future can be determined at a future price from the present, debts can be bought and sold, like bonds with a recurring interest like dividends, where money is used to solve the world’s problems, healthcare, ageing, jobs and welfare are just factors of demand and supply, where the correct pricing mixed with a set of priorities will lower it to a sustainable level, every governments need to learn the tricks and tweaks, by studying all the best models from the world, if digital money is put in the right perspective, priorities and goals are more important, a world where there is no inflation or deflation, the access of funding with austerity measures, will help the creation of wealth with a multiplier, steady inflation will indirectly promote growth, being poor will not be a deterent, you must be able to plan and execute, all components require the endorsement of all, the co-operation of all, to build a better future, with the participation of the UN, IMF and World Bank, a world without nuclear weapons. The “New Economy” is the Age of Information, where every markets is tracked with 24 hours data to facilitate trading of goods and services 365 days a year, prosperity is for everyone, jobs for everyone, where you do not worry about putting food on the table, technology advances will benefit mankind, high growth is not an issue, if you get things right now. When everyone realised I have the solutions to solve the Global crisis by creating Demand and GDP growth in a sustainable manner by setting priorities and goals with reforms and changes, will you seriously support the “New Economy” and Free Trade and the United Nations run by Jesus? The rise of the barter trade exchanges. The futures exchanges trade not only in commodities, but contracts of good and services to be delivered in the future, with easy financing and terms of default clearly spelled out, even instruments of debts can be easy traded. This vision can be realised within a lifetime ie less than 50 years to totally eradicate poverty from the face of this earth, trading is done every second of the day, when you need money, it can be realised almost immediately, free trade will be expanded a thousand times over, so what is high GDP growth not achieveable, a future of a “perfect” market? Nothing is perfect, but if you are able to derive results from it, with fairly accuracy, it is worth every effort you put in. Action speaks louder than words, and in this Internet age your words will be put to the test, only those that has burned with fire will come out shining as gold. I am not a mathematician, neither a professor, so there is a limit to what I can produce, but given this input, I am sure there are many others out there, who higher or above me, who can use this knowledge for the better of mankind. I welcome anyone out there who can help me complete this thesis, knowing full well I am unable to do so. I have spent more than a decade of my time on this, and like the example of the person who gave us the internet, i will not copyright but provide for free. Use this knowledge freely at your own risk. I would give you an example and the methods used to train the mind, to exploit logical reasoning to the fullest. Take a primary six student, I will first design worksheets that show simple intergers, and show the relationship between the intergers. The level of difficulty increases and answers will be provided to the student to learn from mistakes. Next, in mid level, the student will be taught the method to compare. Finally, in the highest level, the student will be taught how to use all he has learned to apply to try to find the answer. This systematic approach trains the brain to recognise similar objects and use variations to find the solution. Finally, it is the speed test which will train the brain to find solutions in the least possible time. A series of apptitude tests could be conducted before and after this trainning session to determine if the student has absorbed it and to determine his performance. Using this example, it can be utilised to cover any topics or any levels, with results you could never imagine. You can also incorporate into Office Software. Until you do not need an interface anymore. When you achieved it in machine language, you would have the tools to invent the next high level language of Intelligent programming. Logic programming is, in its broadest sense, the use of mathematical logic for computer programming. In this view of logic programming, which can be traced at least as far back as Alonzo Church , logical inference can be used in programming. This view was further developed by John McCarthy‘s  advice-taker proposal to use forward chaining under the control of logical propositions. The Planner programming language [1969, 1971] used both forward chaining (invoked by assertions) and backward chaining (invoked by goals). to show/solve G, show/solve G1 and … and Gn. The drive cab is alerted if an alarm signal button is pressed. Note that this is consistent with the BHK interpretation of constructive logic, where implication would be interpreted as a solution of problem G given solutions of G1 … Gn. The defining feature of logic programming is that sets of formulas can be regarded as programs and proof search can be given a computational meaning. In some approaches the underlying logic is restricted, e.g., Horn clauses or Hereditary Harrop formulas. See D. Miller et al., 1991. As in the purely declarative case, the programmer is responsible for ensuring the truth of programs. But since automated proof search is generally infeasible, logic programming as commonly understood also relies on the programmer to ensure that inferences are generated efficiently (see →problem solving). In many cases, to achieve efficiency, one needs to be aware of and to exploit the problem-solving behavior of the theorem-prover. In this respect, logic programming is comparable to conventional imperative programming; using programs to control the behavior of a program executor. However, unlike conventional imperative programs, which have only a procedural interpretation, logic programs also have a declarative, logical interpretation, which helps to ensure their correctness. Moreover, such programs, being declarative, are at a higher conceptual level than purely imperative programs; and their program executors, being theorem-provers, operate at a higher conceptual level than conventional compilers and interpreters. In computer science, imperative programming is a programming paradigm that describes computation in terms of statements that change a program state. In much the same way that imperative mood in natural languages expresses commands to take action, imperative programs define sequences of commands for the computer to perform. The term is used in opposition to declarative programming, which expresses what the program should accomplish without prescribing how to do it in terms of sequences of actions to be taken. Functional and logical programming are examples of a more declarative approach. Procedural programming is imperative programming in which the program is built from one or more procedures (also known as subroutines or functions). The terms are often used as synonyms, but the use of procedures has a dramatic effect on how imperative programs appear and how they are constructed. Heavily procedural programming, in which state changes are localized to procedures or restricted to explicit arguments and returns from procedures, is known as structured programming. From the 1960s onwards, structured programming and modular programming in general, have been promoted as techniques to improve the maintainability and overall quality of imperative programs. Object-oriented programming extends this approach. Procedural programming could be considered as a step towards declarative programming. A programmer can often tell, simply by looking at the names, arguments and return types of procedures (and related comments), what a particular procedure is supposed to do – without necessarily looking at the detail of how the procedure achieves its result. At the same time, a complete program is still imperative since it ‘fixes’ the statements to be executed and their order of execution to a large extent. Declarative programming is a non-imperative style of programming in which programs describe the desired results of the program, without explicitly listing command or steps that need to be carried out to achieve the results. Functional and logical programming languages are characterized by a declarative programming style. In a pure functional language, such as Haskell, all functions are without side effects, and state changes are only represented as functions that transform the state. Although pure functional languages are non-imperative, they often provide a facility for describing the effect of a function as a series of steps. Other functional languages, such as Lisp, OCaml and Erlang, support a mixture of procedural and functional programming. In logical programming languages, programs consist of logical statements, and the program executes by searching for proofs of the statements. As in functional programming languages, some logical programming languages such as Prolog, and database query languages such as SQL, while declarative in principle, also support a procedural style of programming. Many imperative programming languages (such as Fortran, BASIC and C) are abstractions of assembly language. The future interface to logical programming can be intergrated to the common english language, even the formulation of mathematical assembly language can be simplified, like the complexity of different languages, all can be interconnected, interpreted and translated. 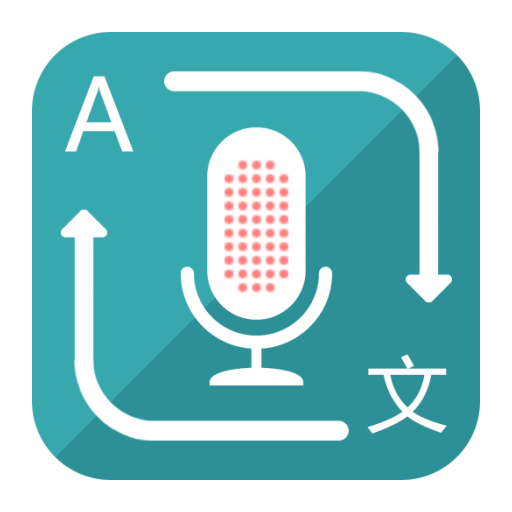 Logical programming will be first interpreted in the english language, then translated to other language like chinese due to it’s difficult nouns, where the use of voice technology will connect everything together. You will get simplicity where intelligence will be intergrated for processing for all languages. In the future, intelligence programming will be the interface for all languages, where voice technology will be the UI. Someone will invent intelligence programming very soon. The Tools of Babel will intergrate all languages of the world, where you speak one language it will be interpreted on the fly, you can also use it to command any user interface. God has given me a glimpse into the future, and I have now found all my missing links. The key to unlocking this is found in the speech analysis software, where if you have the massive codes of analysis, you will find the patterns to link it to the new invention of intelligent programming. The next lifetime in the Perfect Economy, mankind will communicate using thought waves, not voice anymore, by then, we are conquerors of sickness and death. Some will directly get eternal life, or your next generation. I am only paving the way, when Jesus comes everything will then be perfect again. We will then reach equilibrium “The Perfect Economy”.